I hope y’all had a wonderful Labor Day. The summer is now officially over and our thoughts turns to those of autumn. As hard as they may be when temperature outside still range in the mid-nineties. Those of you old enough to remember the tonight show with Johnny Carson might also remember a popular skit of his featuring Carnac the Magnificent. Carnac was a turban wearing fortune-teller. He would take a sealed envelope, place it to his forehead, and attempt to read what was in the envelope. Today I would like to channel my inner Carnac and make some predictions for the upcoming fall. Let’s see how many predictions come true. Let’s start by looking at the soon to be released priority school list. It’s supposed to make its way to schools this week, but will remain embargoed until the 23rd of the month. I love how school districts are given ample time by the TNDOE in order to get their narratives written. Word on the street is that the list is going to include 21 MNPS schools. That’s a significant jump from the current 12. And should be of concern to people. Ah, but you forget, when one is as welded to the accountability philosophy as the TNDOE you find a way around silly legislation. Can’t rate schools A-F? Well how about 1-4? Can’t use last years scores? Well the ones from 2 years ago will suffice, unless you did well…then this years can help you get off the list. Think about that logic for a minute. The tests are considered invalid unless you did well, i.e. the incompetence held you, then they suddenly become valid. In what world does that add up? The tests are either valid, or invalid, period. But I’m quibbling, and it’s time to get on with the predictions. So holding the envelope to my head, I predict that when the list is released MNPS will have 20 plus schools on the list. This will be met with great concern by members of the community whose kids attend those schools and they will look to the director of schools for a corrective plan, little knowing he has already begun the implementation of his plan, entailing another massive smokescreen. A cheer will go up from the anti-testing crowd as they grab their pitchforks and fall in behind the superintendent. Parents and community members who want to discuss what is being done to improve their individual schools will shoved to the back while a conversation on the merits of testing rages. If luck holds out, that argument will last until winter MAP test results are available. Here comes the second envelope. I predict that the Winter MAP tests will show phenomenal growth. Students will out perform their peers across the country by large margins. Why you ask? Because of the way we are administrating the test. Kid’s were tested the second and third week of school this year with minimal prepping. Accommodations included in IEP’s were not given for many children in the name of establishing benchmarks. That will not be the case come the winter test. No, younger kid’s will write letters to older kids on the importance of doing well. Notes will go home to parents informing them of the importance of their child getting the proper rest the night before the test. Pep rallies will be held to ensure that kids are fully aware of what’s at stake. And that’s how you amplify any real growth taking place. Now I’m not saying kids won’t do well this fall. Nor am I saying that MAP is not a worthwhile tool. Students will definitely learn as teachers have deftly demonstrated over the last two-year that they are capable of overcoming almost any obstacle thrown in their way. I do believe that the current system is set up so that some schools will do better than other though, thus growing the inequity gap, but that is another story for another day. MAP is a very useful tool for educators if used as intended. It can identify gaps in student learning, help differentiate students, and help guide instruction. It is not meant to be used to justify policy or act as an accountability tool. Which is how the district is using it. Those predictions should suffice for a bit. Meanwhile what I can’t discern, or predict, is what we are doing for our priority schools. Call me when you see an actual plan and an actual commitment. I continue to try to get my head around the districts move to standards based grading in Middle School. The more teacher’s I talk to, the more questions arise. Questions about the weighting of certain standards over others. Questions about why all the standards are not listed in the grade book? How is a final grade arrived at? How are teachers going to communicate the reasoning behind a students grade to their parents? How are parents going to even understand what the standard is asking for? I can’t tell you the number of times that I’ve read a standard to my wife and complained because I thought it was ridiculous, only to be told, “All that means is can they count to 100 by 5’s.” But if I don’t have somebody telling me what it all means, or how it all fit’s together, how am I supposed to know as a parent? By not acknowledging that I might not understand the standards, or even indicating that it’s important that I understand, an implied message is once again sent that parental input is important for public relations reasons only. The more I talk to teachers the more I get the creeping feeling that this grading move, through its close alignment with the Tennessee Blueprint and by de facto TNReady, is a move to further narrow curriculum and to get teachers to focus solely on teaching the standards. That is an argument separate from implementation and starts to get into philosophy. My wife likes to tell me this is where my idealism runs counter to realism in education. There are some very good teachers that teach the standards but don’t just limit their instruction to the standards. They let kid’s interests guide things a little bit more. How do we balance that out. I’ve heard the saying that what doesn’t get measured doesn’t get taught. I subscribe to the belief that just because you can measure something, doesn’t mean you should. How do those two thoughts live together? 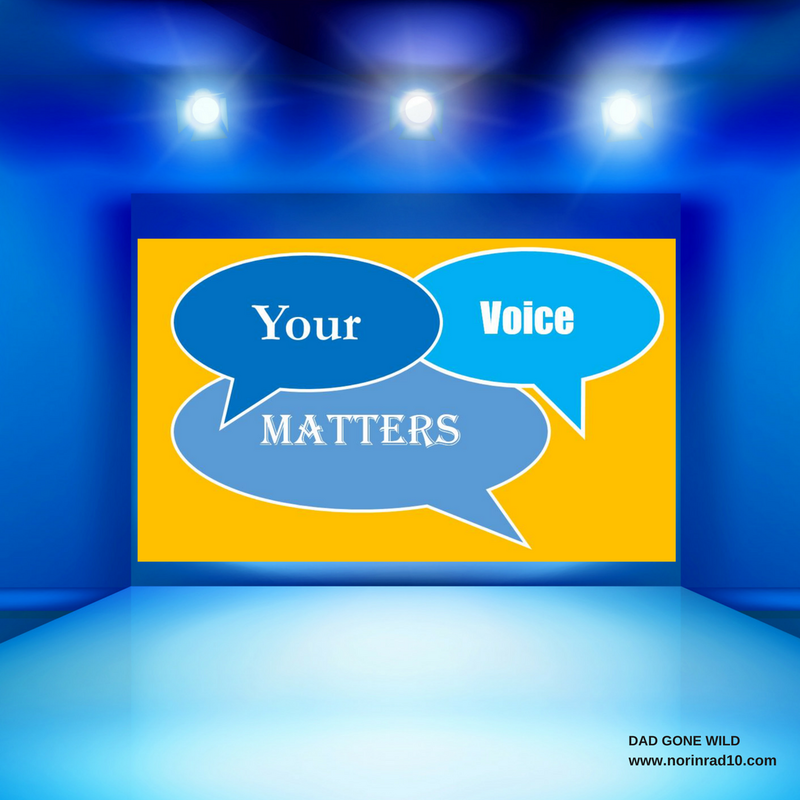 This opens the door to a whole deeper conversation, and as a parent, one I think should receive more parental input before such a large philosophical shift is made. Grades have different meanings in different families. Some families subscribe to a philosophy of anything less than an A is considered unacceptable. To others, as long as you are doing your best, B’s and C’s are fine. One thought that runs consistent is the need to understand how grades are arrived and that there is a sense of fairness at play. Expectations are clearly communicated and there is a clear understanding of how those expectations turn into measurements. It important that parents and students believe in how the grades are arrived at, and to do that teachers need a clear understanding of that process. I would argue, that understanding is minimized because we are tinkering without clear purpose to the grading system. It’s one thing to tinker around with elementary school grades, which for the most part have little real consequences. Parents may look at them, and brag on them, but for the most part they don’t have real deep implications. Middle school is a whole lot different. Grades impact a students academic pathway. Entry into advanced academic programs and magnet schools hinge on grades. Families are starting to think about what post secondary options may look like. It is the time to make corrections and adjustments in a students work ethic and study habits, corrections based on grades being earned. In my opinion, this is not the time to be getting experimental or making large philosophical shifts without ensuring that all stakeholders are on the same page. I have to reiterate, that through my deep dive into the shift in grading director of C & I David Williams has been incredibly open to feedback. Several teachers have reached out to him. And while they weren’t necessarily satisfied of the answers they were getting, his efforts were appreciated. The interesting twist on this policy discussion is the number of teachers who have said to me, “I’m not backing down on this one.” It’s interesting because teachers make compromises all day long. They make do with less than optimal discipline policies, testing policies, attendance policies, all without drawing a line in the sand. When something pops up that draws a line in sand response, it makes me listen all the more closer. Hopefully leadership will do the same. First the Jersey Shore crew made a return to MTV. Then Rosanne was back on the air. This fall Magnum PI is back on the air. It seems like retro fever is in the air and the MNPS literacy department is the latest to catch it. Word out of a recent Literacy Coaches meeting has it that the district is doubling down on its focus on phonics. In other words, a new front in the Reading Wars has been opened. I jokingly remarked, “Uh oh, when are nonsense words coming back?” Only to be informed that they have already returned after being sent into exile only 3 or 4 years ago. I want to know when Language X is coming back. The Tennessee State Board of Education is taking a closer look at some of MNPS’s human resources investigations to ensure that they followed regulations. For their part, MNPS is placing the blame on the shoulders of an employee they ran out because they didn’t like the way he ran an HR investigation earlier in the year. I guess they didn’t realize that you can only throw a person under the bus one time for maximum effect. Oh well, what’s one more potential lawsuit? Sarah Becker is a parent in Houston whose kids attend a so-called “Failing School”. In her eyes, that is not an accurate portrayal of her children’s school. It’s worth reading. If you’ll remember back in June there was a discussion about a contract involving TNTP. At the time, it was presented as one not being utilized by district, but needed to be renewed it order to remain an option. What wasn’t said, was that said contract needed to be renewed in order that two other contracts with TNTP, involving the implementation of CKLA, could be activated unecumbered. There is always an angle. The Notebook has a deeper look at the workings of TNTP and surprise, there is a Prince George County School connection. Does anybody know anything about WIDA results? I’ve yet to hear anything this year and I’m kinda confused as to why? I spent a fair amount of time examining and thinking about this new ad from Nike. We often hold out the importance of standing for a cause but when it comes right done to it we more often turn into Peter after the garden. Like him, don’t like him, agree or disagree, Colin has put his beliefs where his money is. 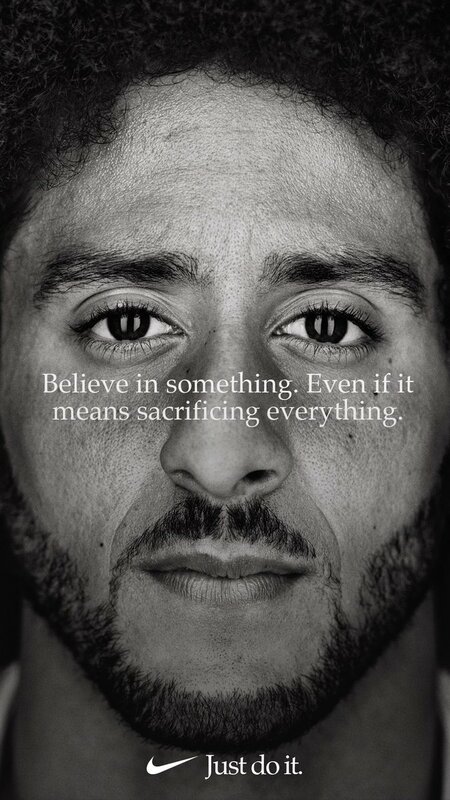 Maybe he signed a multi-million ad campaign with Nike, but when he started first took his stance he had no way of knowing that. Locally I can think of some others that have striven to live the words in the ad. Coming on the heels of a Labor Day is a country where neither could have existed with those who were not willing to ascribe to the belief voiced in the ad, we should recognize the courage taking such an action demands. Recognition of courage does not equal endorsement of ideas, though in this case I tend to agree with the ideas, I understand that some may not. That’s fine because we don’t all have to agree. However I would suggest that instead of cutting up your socks you tip your hat to a long engrained American ideal. And while you are looking at Colin’s picture remember that there are serviceman, police, and others that also personify that very ideal. All are worthy of respect. And by the way, as a rule of thumb, if Clay Travis is opposing, then I’m embracing. Sports has always been rooted in politics – Jackie Robinson, Jesse Owens, Billy Jean King, Kareem Abdul Jabbar. Know your history. Responses to the poll questions were down this week, but let’s look at the results. ncompetence at the school level – wouldn’t a principal want to read the MOU? How do Maritza still have a job? Yep… Cobbs stuck to the MOU! The second question asked who you were voting for as vice mayor. Indications are that this is going to be a close race. Jim Shulman in the end best Sheri Weiner by only 4 votes, 41-37. A little concerning were the 22 votes collected by “Who? What?” Not many write in votes for this one. The last question asked for your opinion of homework. As expected most of you, 37%, have mixed emotions. However, at 31%, “Hate it” wasn’t far behind. I loved the write in votes on this one. A lot of fodder for thought. No research to support it! A small amount is fine. An EXTREMELY useful tool for all students when not overdone! Very useful for students when done properly. Needed in high school math. Maybe not needed elsewhere as world moves toward GC. We need to invest more time in real experiences for kids. Since you bring up literacy, can we talk about RTII or the lack there of? Great one! Would enjoy talking more about TN ready when you have time. I felt that this series from the Guardian is something worth reading as it addresses many issues across the country that Teachers are having with regards to testing, salary, etc. I urge everyone to read and have Teachers comment on the articles as they are publishing those with requests that they play to deliver to DeVos.